MARKET activities, especially in retail and office sub-sectors, slowed down last year. 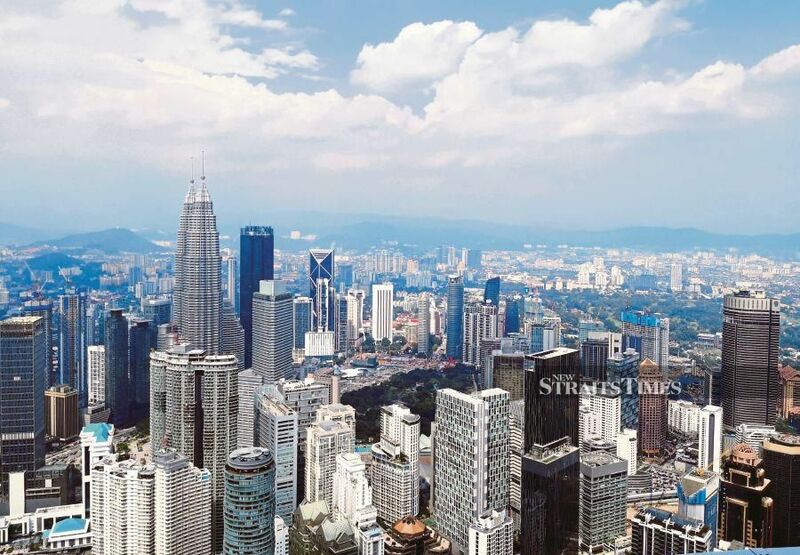 Knight Frank Malaysia executive director of capital markets James Buckley said investors were increasingly more cautious given the extent of the forthcoming new supply, decreasing occupancy and declining rentals. “In 2019, we have observed a rise in the number of owners wanting to sell their commercial property assets, but the bid-ask spread will need to narrow before we see more transactions successfully completed,” he said. Buckley said commercial properties in Malaysia provide good yields relative to other markets in Asia Pacific, but higher relative borrowing costs, generally exceeding five per cent, has lowered the cash-on-cash yield. He said investing in the healthcare and institutional assets, such as education, is still a fairly new trend in Malaysia. However, more deals may come to fruition from this sub-sector, with investors being attracted by its defensive qualities as it is less reliant on the general state of the economy, offers long leases and often comes with fixed increases in rent throughout the duration of the lease. “The logistics and industrial sub-sectors have in the past been the poor relation to offices and retail malls, but investors are increasingly seeing the benefits. “It offers higher yields, often with great covenants, and the construction is simple and fast. The rising demand for good-quality warehousing and distribution hubs and an undersupply bodes well for future rental growth,” said Buckley. Moving forward, the performance of the retail sub-sector is expected to be lacklustre with respondents expecting a more challenging market ahead with a high supply pipeline of retail space. The overall performance for the hotel/leisure sub-sector is expected to be generally flat this year. Aided by the strengths of Sabah’s tourism sector, the overall occupancy rate of hotels in the state is expected to improve. The logistics/industrial sub-sector is expected to outperform as more businesses and manufacturers embrace the Industry Revolution 4.0 (Industry 4.0). Among the favourable factors affecting commercial real estate investment sentiment are strong influx of foreign direct investments in the manufacturing sector and the rapid adoption of Industry 4.0. According to Knight Frank’s Malaysia Commercial Real Estate Investment Sentiment Survey 2019, respondents generally regard the smooth power transition to the Pakatan Harapan coalition and improved corporate and public governance to be positive for the commercial real estate market. In contrast, a number of respondents said limited access to funds resulting from stringent lending guidelines, coupled with a slowdown in the economy, would dampen prospects for commercial real estate in the country. Also, while respondents were generally satisfied with the provisions of 2018 Budget, a relatively high number of them were dissatisfied with the 2019 Budget, citing a lack of catalytic measures to spur the weak commercial real estate market. Respondents are expected to take a conservative approach on investment this year given challenges in the market such as weak return and yield and limited investment opportunities. The majority of respondents (50 per cent and above) expect capital values for all sub-sectors to remain stagnant this year. Close to 40 per cent of them expect an increase in the logistics/industrial andhealthcare/institutional sub-sectors while another 28 per cent expect capital values of office and retail properties to fall. Some 57 per cent of the respondents expect office rents to fall. As for the retail sub-sector, there appears to be a more balanced outlook with 48 per cent expecting rents to remain stable while the remaining 44 per cent anticipate rents to dip. Half of the respondents expect rents to remain flat in the logistics/industrial segment. In the hotel/leisure segment, a higher number of respondents expect the average room rate this year to remain stable. Similar to the capital value, 42 and 49 per cent of respondents expect overall occupancy in the office and retail sub-sectors, respectively, to further weaken due to the high impending supply pipeline and slow take-up. As for the hotel/leisure and logistics/industrial sub-sectors, half of the respondents expect occupancy will continue to hold. More than a third of respondents expect yield compression in the office and retail subsectors although about 26 and 33 per cent of them are optimistic about the performance in the logistics/industrial and healthcare/institutional sub-sectors respectively. The majority of respondents (over 50 per cent), however, expect the sub-sectors to maintain the performance at the previous year’s level. The respondents opined that the healthcare/institutional sub-sector had performed relatively well last year. The favourable performance is expected to continue this year, supported by growing demand and fundamentals. The survey results reveal that 33 per cent of respondents anticipate an increase in the yield of healthcare/institutional assets this year. Knight Frank Malaysia executive director of valuation and advisory, Keith Ooi, said unlike conventional assets, healthcare and institutional real estate are alternative specialised asset class that is less reliant on the economy. From investors’ point of view, this specialised asset class is attractive as it provides certainty by offering long-term leases with step-up rentals, he said. “Some respondents lamented the increased challenges in raising funds for commercial real estate, particularly the conventional assets. These assets will be somewhat insulated from this challenge as respondents among the lenders and fund/REIT managers indicated that they may increase their exposure toward the sub-sector in 2019. “The healthcare and institutional subsectors are truly a hidden gem, as investors become more familiar with this asset class... I foresee there will be more transactions of real estate in this sub-sector in 2019,” said Ooi.